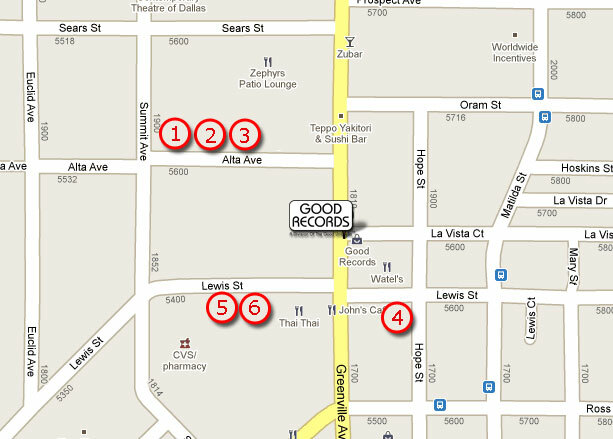 Good Records signs will be at all of the aforementioned lots to designate that you are at the correct place. Please obey all posted parking signs and traffic laws. Also please do not litter by using proper receptacles for trash and cigarette butts. Please be an intelligent human as I know you all will be as you have the past 10 years.